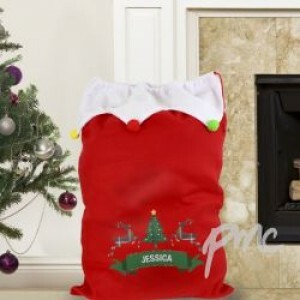 Our Nordic Christmas Pom Pom Sack is a great way to present their Christmas treats from Santa. The sack can be personalised with a name up to 12 characters in length. This will appear in upper case as standard.